Delirium was created as a delirious sensory experience where music unites space, individual and society in a world marked by solitude and isolation. This spectacular touring show redefined the standard performance space by introducing an immense stage and acrobatic rig that ran the length of the arena. The stage was made up of folding bases that sat on multi-wheeled dollies. Its deck panels used our OST system with PTL attachments to form an even surface. 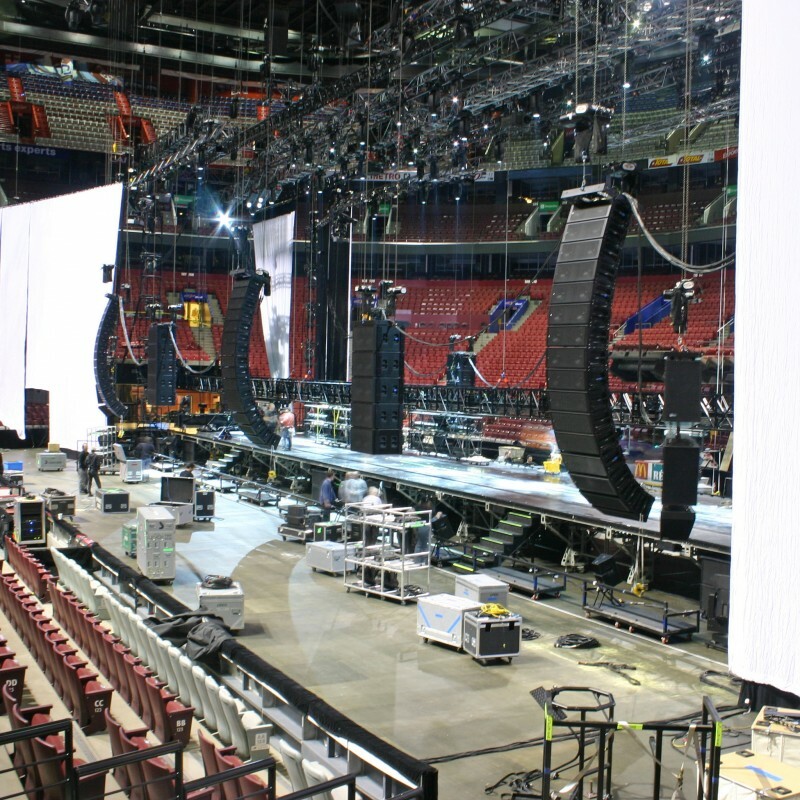 Certain panels were fitted with traps and the side of the stage had a cantilever to support audio and lighting equipment. 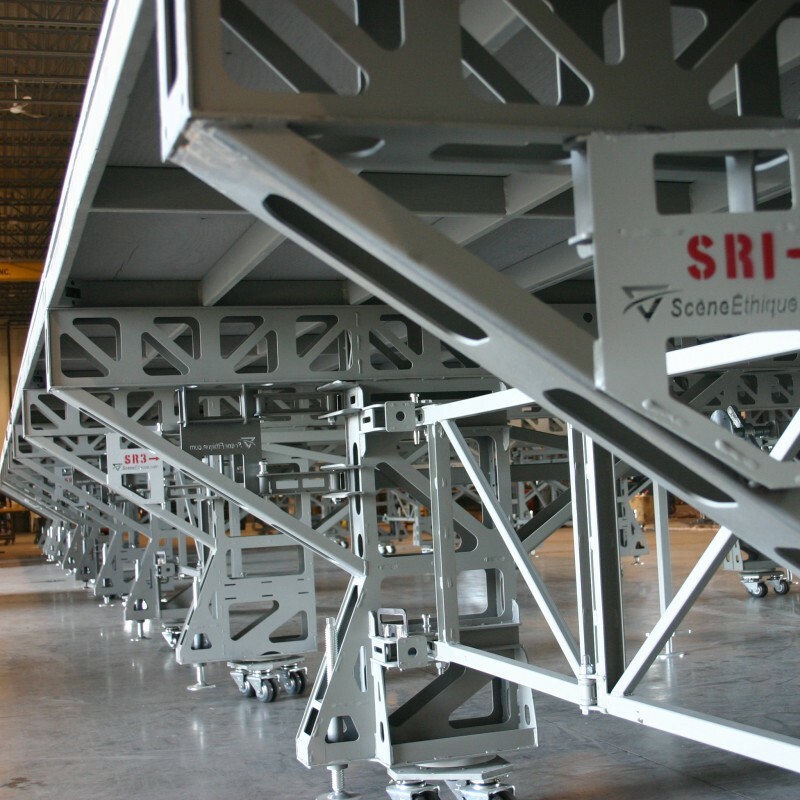 Two acrobatic truss-rails over 175’ in length were rigged above the stage. Each one was fitted with three dollies that traveled along them horizontally with the help of our DRD friction drive and they transported winches for vertical movements. 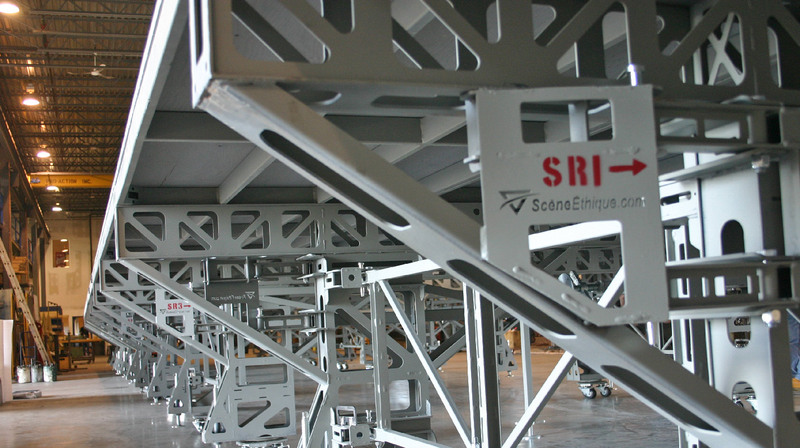 The truss-rails were rated for human load (acrobats and musicians) and also served to move decors. The stage in Scène Éthique’s shop on multi-wheeled dollies.